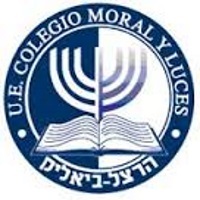 As a response to the changing needs of the Jewish community in Venezuela, in which the community is shifting towards more Orthodox and traditional identities, the Herzl-Bialik school, largest day school in Caracas, has created a new program for its students that will allow them to engage more deeply with Jewish studies. The Herzl-Bialik School’s project will create a free, program for advanced religious and Jewish studies as an optional course of studies for students. In addition to their regular courses of study, which already include Hebrew and Jewish studies, students who choose to join the Advanced Program of Jewish Studies will spend 9 hours each week in specially designed classrooms in order to engage in more in-depth religious studies. In addition to the special courses, there will also be a weekly after-school program. In addition to these extra courses of study, the program will also focus on advancing the skills of its teachers. In early stages, the Herzl-Bialik School will have teachers and madrichim come to the school from abroad. These International educators will help lead the program early on, but will also work with the local teachers to train them so that the program will be more sustainable and continue running without International assistance. The Herzl-Bialik School has wonderful plans for extending the program, offering it to students throughout every grade and developing more in-depth content. The Pincus Fund is proud to support the Herzl-Bialik School in its willingness to adapt to changing needs and deepen its students’ connection to the Jewish world.